This Russian imperial guardsman fought Napoleon, married a gypsy and was booted from an around-the-world voyage for bad behavior. 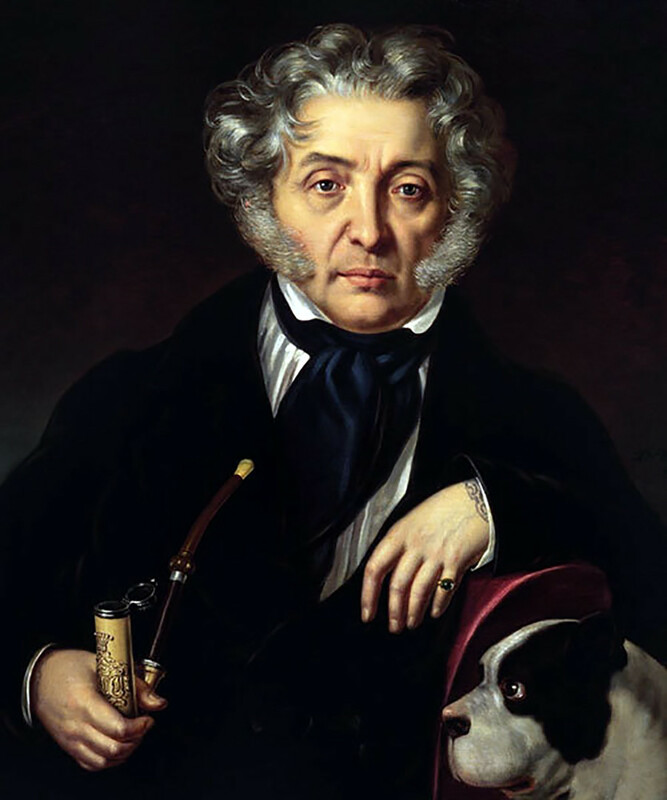 Count Fyodor Tolstoy earned the nickname “American,” even though he never visited the U.S.
Count Fyodor Tolstoy was unique in many ways: the only tattooed nobleman; the only nobleman married to a gypsy; an unparalleled cardsharper and duelist. What made him even more famous were his outlandish stories - Tolstoy loved to talk and dream up tall tales about himself. In fact, even though he boasted the famous moniker of “American,” Tolstoy lied about visiting the North American continent. Fedor Tolstoy in his youth. Unknown author. Collection of Leo Tolstoi State Literary Museum. Fyodor was born to a poor branch of the prominent Tolstoy family, and he had to enroll in the Naval Cadet Corps to make a future career. There, the sturdy and cunning young Count learned fencing and shooting, which later made him a dangerous opponent in duels. In 1797, he started his service in the imperial Preobrazhensky regiment. “He had neither love nor skill for obedience,” Tolstoy’s daughter later wrote. During his years in the service he was among the most unabashed ruffians, twice sent to garrison regiments as punishment. “Everything others did, he did 10 times stronger. Recklessness was in trend those days, and Count Tolstoy was reckless to the point of frenzy,” recalled his friend Faddey Bulgarin. Recklessness inspired Tolstoy to join the crew of the First Russian Circumnavigation commanded by Ivan Kruzenshtern. Also with them was Nikolay Rezanov, an imperial envoy whose mission was to establish diplomatic relations between Japan and Russia. During the trip, however, Kruzenshtern and Rezanov got in a row. Tolstoy was a “chevalier of the embassy,” subordinate to Rezanov, but as a Naval Cadet Corps alumni he teamed up with Kruzenshtern, ridiculing the bitter-tempered Rezanov. 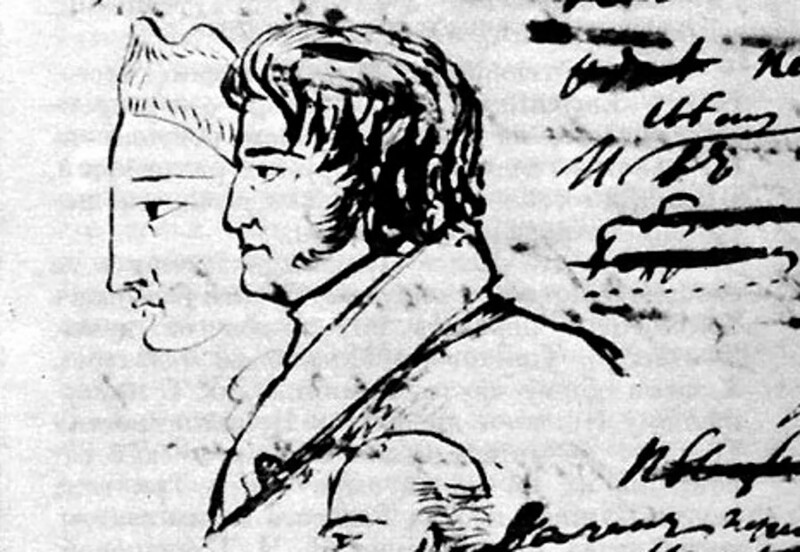 That cost Tolstoy dearly, and when the expedition reached Kamchatka before arriving in Japan, the 22-year-old Count was left on shore “for disorderly conduct.” That day was August 26, 1804. Fyodor Tolstoy in his later years. 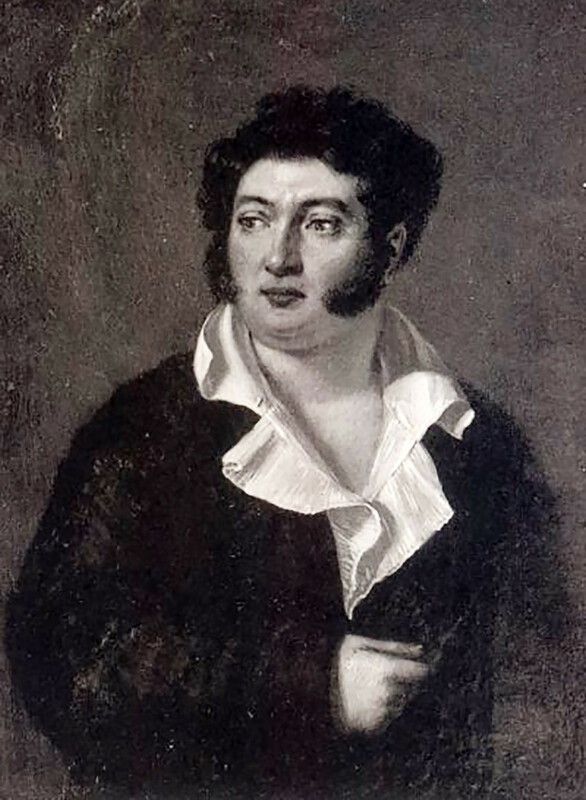 Under the cuff on his left hand, a part of Tolstoy's tattoo can be seen. Fillip Reichel, 1846. To return to St. Petersburg, Tolstoy had to first go to Okhotsk, where he arrived in January 1805. Later, Tolstoy told his friends that between August 1804 and January 1805 he visited the Aleutian Islands and Russian Alaska (this is why he was nicknamed “American”). Mikhail Filin, Tolstoy’s biographer, recently proved that his American trip was a lie - Tolstoy couldn’t possibly have had the time to cross the ocean and return in just four months. What was so special about tattoos for a nobleman? In Russia, such things were for convicts, often “branded” like livestock as penance. Tattoos were inappropriate for an aristocrat. Thus, by tattooing himself Tolstoy defied yet another social construct of his time. While gypsy singers, dancers and musicians were often luxury entertainment for nobility, Tolstoy surprised everyone by actually marrying a gypsy, Avdotya Tugaeva. The romance began as a fling, but Avdotya soon showed her caring side. Tolstoy owed a great deal of money because of card playing and couldn’t pay his debts, which led him to consider taking his life. Seeing the Count’s desperation, Avdotya used the money she had acquired as gifts from noblemen and paid off his debt. Struck by her kindness, Tolstoy married Avdotya. Their life was far from happy, however, and they quarreled constantly. At times they lived apart, and lost eight children to various diseases. Nevertheless, Tolstoy was a devoted family man, and during tough times he stopped gambling and refrained from drinking. He always had money to feed and educate his children. Tolstoy was also very taciturn when it came to his family and kept his private life a secret, especially because high society often made fun of him for marrying a gypsy. Tolstoy’s love for Avdotya, however, was stronger than any gossip or prejudice. 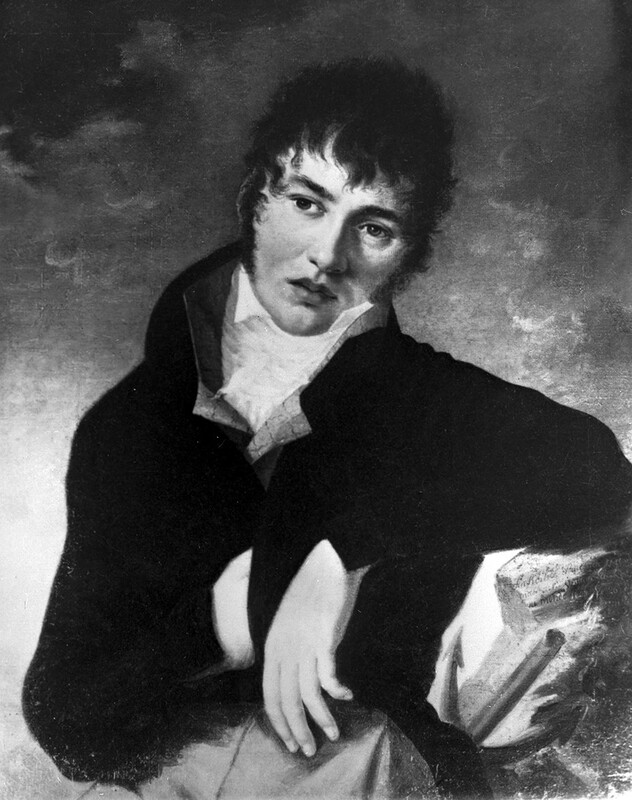 When in 1805 Tolstoy returned to St. Petersburg, he was severely punished for his exploits during the Circumnavigation and sent to serve in a garrison regiment in Nyslott (now Savonlinna, Finland). Emperor Alexander was furious at Tolstoy for scolding his envoy to Japan. In 1808, Tolstoy was pardoned, and he fought in the Russian-Swedish War of 1808-1809, showing extraordinary bravery. Later, during the War of 1812, Tolstoy was a hero of the Battle of Borodino when he took charge of the Ladozhsky regiment after its commander had been killed. The Count was wounded in the knee, but after recovery he fought on, chasing Napoleon’s army to Europe and returning home victorious in 1814. Tolstoy loved gambling, but everybody knew that he cardsharped. “Only fools rely on luck,” he said. Card cheating wasn’t considered a sin for a nobleman. In 1819, Tolstoy played cards with Alexander Pushkin, and the poet noticed that the Count cheated and confronted him. Tolstoy replied, "Yes, I know that, but I don’t like to be reminded of it." Both men were mutually insulted. 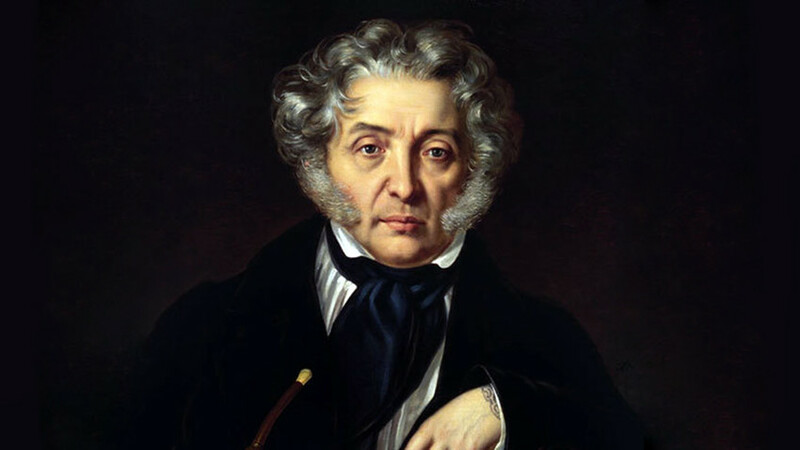 Pushkin even prepared for a duel with Tolstoy, but luckily they only exchanged a number of bitter poetic epigrams. Eventually, Tolstoy, who was 17 years Pushkin’s senior, became friends with the poet and served as his matchmaker with Natalia Goncharova. The Count was a friend of Natalia’s family. Tolstoy himself ended his life quietly in his Moscow home in 1846, at the age of 64. Life’s dangers, that he liked to play with so much, have bypassed this legendary ruffian. To find out more about the connections between Tolstoys and America, check out our article “Why was Leo Tolstoy fond of America?” while in the article about Russian writers and their wives you can learn about the complications in the family of Leo and Sophia Tolstoy. And for something different, look at the hidden meanings behind Russian writers’ surnames. Why was Leo Tolstoy fond of America?